Released in our new 'Young Adult Classics' format, Henry James's classic ghost story is a masterpiece of the supernatural. The tale is taken from the diary of a governess, who describes her mounting sense of paranoia at the relationship between her two wards and the ghostly figures that haunt the estate. 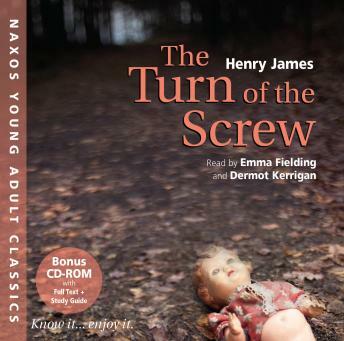 Menacing, ambiguous and haunted by a pervading sense of evil, The Turn of the Screw is one of the most powerful and enduring tales of the nineteenth century. Emma Fielding gives a compelling reading of a story in which nothing is certain, and madness lurks around every corner.